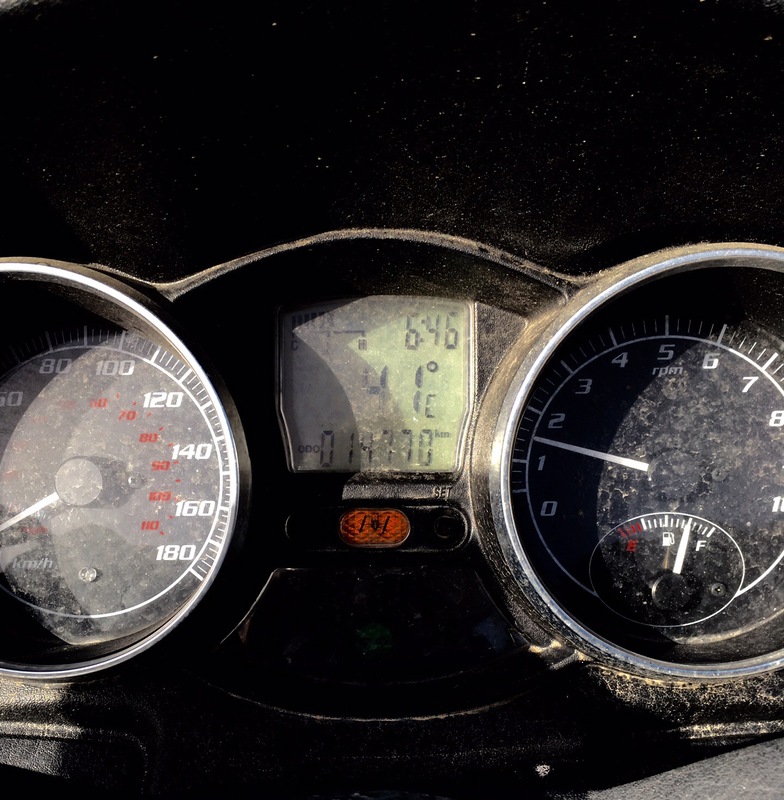 It’s been alarmingly hot these last few days in Athens, last Fri on the way back from work my scooter was showing an ambient 43C near the airport, soon after this pic was taken. Impossible in this heat to drink red wine or smell perfumes: everything smells like it’s falling apart and wilting. More soon, global warming permitting. Update: Btw, the sand on my scooter comes all the way from Lybia by air.